In Jamaica, Christmas carols are sung to a reggae beat and, in the small villages, Santa arrives riding in a cart pulled by a donkey, not a reindeer. A typical holiday feast would consist of curried goat, oxtails, and rice’n’ peas. Rice and peas (or beans) is a popular dish on many of the Caribbean islands. Maybe its popularity is due from the fact that rice helps tame the burn of chiles, although this version of the dish is not tame. The peas used are called pigeon peas and are about the size of garden peas and are available dried or in cans. 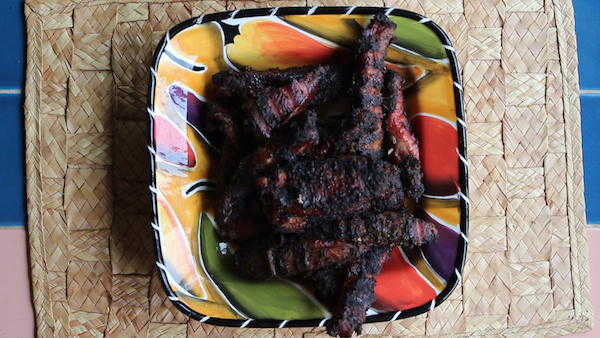 Kidney, or red beans are also used in this dish, but during the Christmas season, only the gungo or pigeon are served in Jamaica. 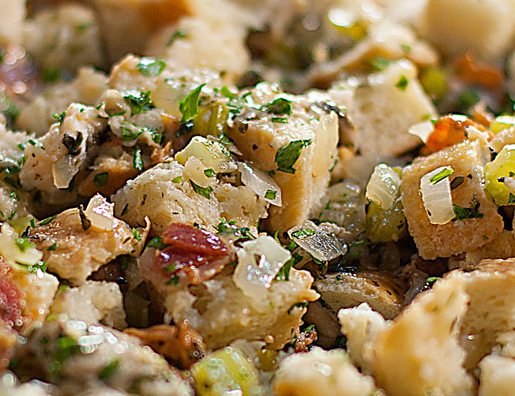 This stuffing runs the gamut of the five food groups, relying on fruits, vegetables, protein, grains, and dairy to create the fine mixture roasting within the turkey’s cavity. Farofa (cassava flour), the Latin version of corn flakes, brings it all together and gives the recipe the cohesive texture that it requires. 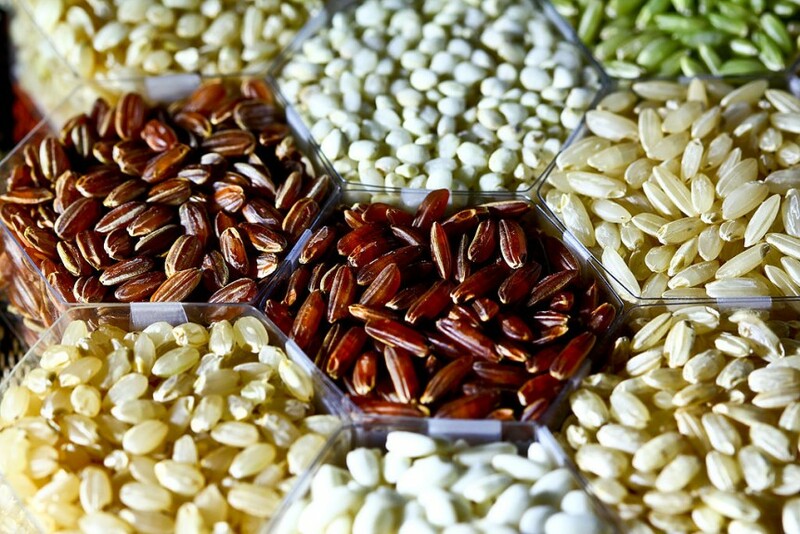 Brazilian rice is one of the staples of a Brazilian dinner and the holidays are no different. Brazilians most often make use of long grain rice, and the shelled pumpkin seeds give it the holiday zest that it needs while the kale (as well as the rice) is sautéed in garlic to add a touch of flavor. A touch of hot sauce adds zest to this side dish. 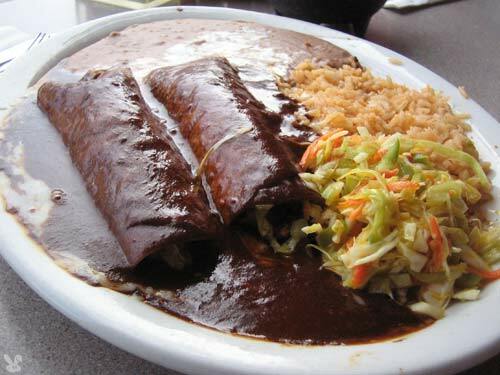 Enchiladas prepared with mole sauce and Mexican asadero cheese, also called queso blanco, are as exotic as they are tasty. This is also a great way to utilize leftover turkey. Enchiladas are not difficult to prepare—in fact they are quite easy. The trick is to have everything organized and ready to go before assembling the enchiladas.